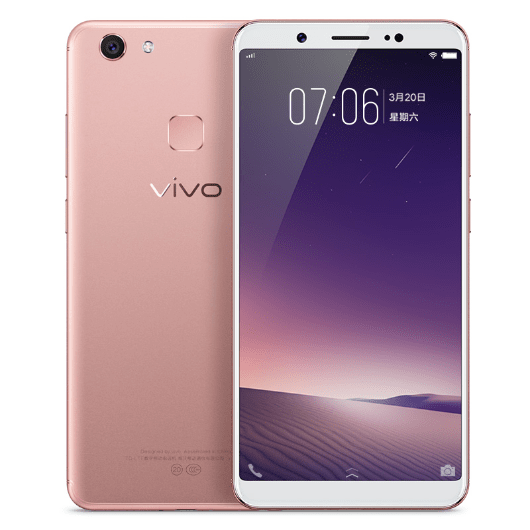 The Chinese tech-giant Vivo, known for its great camera specification smartphones, has recently unveiled a new device dubbed Y79 for its home market. The variant in the Y-series of smartphones boasts of a 5.99-inch HD+ FullView display with an aspect ratio of 18:9 (screen resolution of 1440 x 720 pixels). The device is topped with Corning gorilla glass 3 protection. Accompanying this is a 24-megapixel front camera with f/2.0 aperture and company’s Moonlight flash feature. It also incorporates a FaceWake feature, a new biometric feature that can be used to unlock the device by scanning the face. Y79 runs on company’s own FunTouch OS 3.2, based on Android 7.1.2 Nougat. It further comes with a Qualcomm Snapdragon 625 (MSM8953) octa-core SoC clocked at up to 2 GHz coupled with 4 GB of RAM. There’s an internal storage of 64 GB and a microSD card slot for expanding the same up to 256 GB. Housing a fingerprint scanner on the back, the smartphone sports a 16-megapixel rear camera with an f/2.0 aperture and dual-LED flash. The 24 MP front sensor with Moonlight Glow soft selfie light comes with Face Beauty 7.0. Another unique feature on offer is the- ‘Do Not Disturb’ mode for gaming enthusiasts that prevents interruption via incoming calls, messages, etc on game mode. Providing the juice to the phone is its 3,225 mAh battery power. The audio features include- AK4376A Hi-Fi Audio chipset while the connectivity options on board comprise of- 4G VoLTE, Wi-Fi, Bluetooth v4.2, GPS/ A-GPS, Micro-USB, 3.5mm audio jack, and FM radio. The newly launched device does not deviate much from the specifications of V7+ launched earlier by the company. The only differing specifications are processor, battery and price features.These are all beefed up in the new device. The Vivo Y79 is up for grabs in China at CNY 2,498 (approx. Rs. 24,500) on the company’s official website. The smartphone would retail in Champagne, Matte Black, and Rose Gold colored variants and would start shipping from Singles' Day (11/11).